This is an interesting article which is written on one of the most mystical areas of healthcare. What is actually the cost of the healthcare that you are receiving? If you can read through this article you will see the importance and relevance to you as the patient. 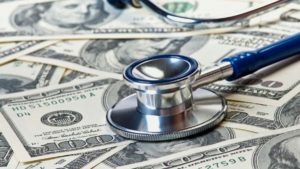 Currently, there is a large push on to move patients to a high deductible health care plan in order for the patient to assume more the cost of care. Because of this, it is critically important to know exactly the costs of what you are paying for. And, as pointed out in this article states such as Colorado are passing laws in order to make it more price transparent. Unfortunately, the publication of costs for the consumer will not make this problem go away. I believe that it is an important first step for understanding the actual true cost of the healthcare that you receive. But it is not the end of this battle, by any means.